Chiropractic care is a method of health care that focuses on manually correcting misalignment (chiropractic adjustment) of bones (subluxations) that as a consequence cause a large series of health problems, especially in the spine. The chiropractor (D.C. or Doctor of Chiropractic) uses a system of health care that is primarily natural and holistic, in an effort to improve people’s lives by optimizing the functioning of the nervous system so the body is able to function at a higher level to heal itself. Each cell in the body is controlled by the nervous system – taste, touch, smell, hearing, hormone system, heart function, digestion, immune system, nothing is outside the effects of the nerve system. Chiropractic care is directed toward improving the function of the nerve system so the body functions better. Yes, chiropractic is very safe for people of all ages, from the young children to the elderly. Chiropractic care is natural, non-surgical and drug-free. Chiropractic treatment in general and the spinal adjustment used by chiropractors have a very high safety record, especially when compared to other medical fields. This is proof of chiropractic safety by a totally unbiased source – the insurance industry. Malpractice insurance average orthopedic specialist: $110,000 – $245,000 annually. Malpractice insurance average MD general practitioner: $15,000 – $30,000 annually. Malpractice insurance average DO osteopathic doctor: $15,000 – $30,000 annually. Malpractice insurance average DC doctor of chiropractic: $2,000 – $4,000 annually. Malpractice insurance average OD optometrist: about $400 – $600 annually. If chiropractors were actually dangerous their malpractice policies would not be so low – just a small step above the optometrists. The United States Superior Court ruled that the risk of a stroke occurring from a simple chiropractic adjustment to the neck was so low standard patient’s consent was not required to perform the procedure on them. Chiropractors are practicing today in hospitals all around the country. I spent the last 12 years of active practice as a chiropractic doctor practicing with three orthopedic surgeons. Chiropractic is an accepted part of medical practice because of a super-safe track record. In many ways a chiropractic doctor functions as a family practitioner, just like an MD, treating mostly painful conditions of the musculoskeletal system, but also digestive, respiratory, reproductive, and endocrine problems that have not responded to standard medical care, by using naturopathic methods. Many times the doctor of chiropractic is seen as a last resort kind of physician. Just like in a medical office, a history is taken, existing medical records are reviewed, perhaps a phone call will be made to consult with the primary medical care physician, and perhaps lab work or imaging studies are done at the first office visit. While the primary area of complaint will always be examined (lungs, heart, ears, etc. ), the spine and other parts of the skeleton that relate to the primary complaint will also be examined to determine if there is a structural cause (primary or secondary) for a complaint that is normally thought to be outside of the musculoskeletal system. A diagnosis, prognosis, risk assessment and treatment plan will be made. For example, if a patient comes in with a diagnosed breathing problem like asthma, the chiropractic will examine the lungs with a stethoscope just like an MD, but he will also carefully examine condition of the spine that provides the nerve supply to the respiratory system, as well as examine the joints, muscles, ligaments and other soft tissue associated with the ribs as they connect to the spine in back and to the breastbone in front, as well as the collar bones and shoulder blades. All of these structures have a tremendous impact on how the respiratory tract functions. If a such problem is found to exist, and is corrected using a wide variety of chiropractic treatments, is very common for the patient’s ability to heal the asthma to so increase that the asthma is eliminated. This happens over and over again in thousands of chiropractic clinics around the world every day, and is the reason chiropractic has grown and is accepted in spite of years of fierce medical opposition. A chiropractor will use many different manipulation techniques, not only to restore normal movement to a joint, but also soft tissue techniques are used that might assist that process. Within the scope of chiropractic practice there are a galaxy of ways to influence the skeleton and the soft tissue that moves that skeleton. All of it involves a high skill level and nothing short of “art” that determines how effective these chiropractic techniques are in influencing the body in a favorable way. 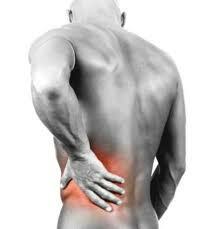 Chiropractors are well known for treating many types of skeletal pain and joint problems. Probably their greatest fame is for providing low back pain relief in cases that have not responded to other forms of therapy. The chiropractor often is often visited by a patient after standard medical treatment has failed, and so the intent is to try a different approach that might bring improvement and correction. For this reason the chiropractic physician often attempts to not duplicate a failed direction of symptomatic treatment; as dictated by the basic philosophy and principles of chiropractic, the chiropractor instead looks for, finds and attempts to correct structural problems that adversely affect the way the body functions. The chiropractor does a lot more than treat pain, but structural pain too is done in a similar way.